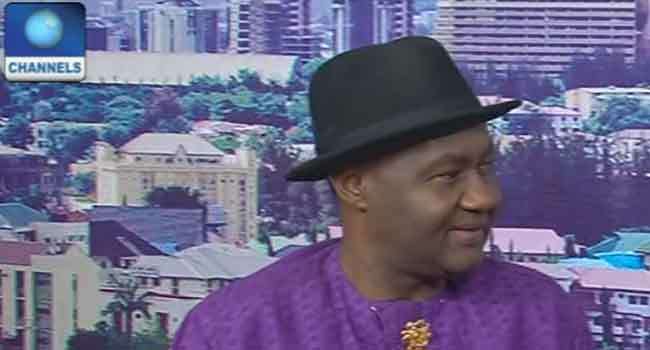 The lawmaker representing Rivers South East, Senator Magnus Abe, has faulted the coalition formed by the Peoples Democratic Party (PDP) and over 30 other parties. Senator Abe was confident that although the parties were trying to copy the All Progressives Congress (APC), they can’t achieve the success recorded by the ruling party. “What is happening now is a very poor imitation of what we did to the PDP during the last elections,” the former PDP member said during his appearance on Channels Television’s Sunrise Daily on Wednesday. “It’s just people trying to imitate what has happened before without knowing that the circumstances and environment have changed dramatically, and what worked at that time is not necessarily what will work now,” the senator added. Unlike the PDP coalition, he said the APC was able to penetrate the then ruling PDP and win aggrieved strong members of the party into its fold. According to Abe, the ruling party cracked the PDP by pulling out about six governors of states which the opposition party would have leveraged to retain power in the 2015 elections. “In this new movement that you are seeing here, I didn’t see any selling governor seated in that hall. You have 40 political parties – some of these parties don’t even have a councillor, some don’t even have offices and what is the impact of that?” the lawmaker questioned. He insisted that the coalition would have no effect on the APC, although the party may have some challenges in Kwara if the Senate President and the governor should leave. Senator Abe was optimistic that the APC leadership under the watch of Adams Oshiomhole would do its best to address the concerns of aggrieved party members. “What I would say is that clearly in the All Progressives Congress, mistakes have been made within the party … but the emergence of Comrade Adams Oshiomhole has given hope that some of these issues can and will be addressed,” he said. The PDP leadership had signed a Memorandum of Understanding (MoU) with that of 38 other political parties to wrest power from President Muhammadu Buhari and the APC in 2019. They include members of the Reformed APC and that of former President Olusegun Obasanjo-backed African Democratic Congress (ADC), Social Democratic Party of Nigeria (SDP), National Conscience Party (NCP), Labour Party, and a host of other registered parties.